If you’re an older child like me, you know how it feels to be the guinea pig. We were the ones who endured our parents’ lack of experience. For some of us, this meant we were sheltered from everything–no sugar, no screen time, no chewing on dad’s car keys. Then Mom and Dad started having more kids and suddenly we were allowed to eat candy-coated cereal for breakfast, watch Saturday morning cartoons, and play in the mud. With every child, our parents got a little more tired wiser. We also have to consider all of the latest research on raising children and how much advice has changed over time. Two recent conversations come to mind: one was with my mom, and it was about how I barely remembered riding in a car seat, whereas my own children will have a booster seat until they’re at least 4’9. The other conversation was with my pediatrician. When I had my first child, the rule was to wait until his first birthday to introduce peanut butter. Now the rule has changed and I can feed it to my 7-month-old (which I haven’t brought myself to do yet). I wonder how much these guidelines will change in the next five to seven years. When I think of the baby products on the market today, I must say that I’m relieved. They’re so convenient! In some ways I think I’ve grown wiser in my decision-making this time around (cue memories of a baby spa tub that went unused because we didn’t know it needed EIGHT “C” batteries). But for the most part, I give credit to the marketplace because there are some really awesome products available right now. What a time to have a baby! This swing has been a huge life-saver. You would think that baby #3 would be the easiest because, you know…been there, done that. But in our case, our third child has been almost as difficult as our first. (Yes, child #2 was our easiest, and we can try to avoid gender stereotypes all we want, but “she” caught on way faster than the other two.) Even so, we’ve been blessed with the most patience this time around, and the Snugapuppy swing has been perhaps the single most helpful baby gadget we’ve purchased to date. It rocks, it pivots, it plays music, and it has a mobile for baby to look at. Baby doesn’t want to sleep? Pop him in the swing. He’s sick and needs to keep elevated? The swing will give your tired arms a rest. Much like our minivan, it was a purchase that I debated for longer than I needed to. We use it sparingly now that baby is 7 months (and using a door bouncer) but it can hold up to 25 pounds so it’ll be a while before we store it away. Available at Target for $119.99. 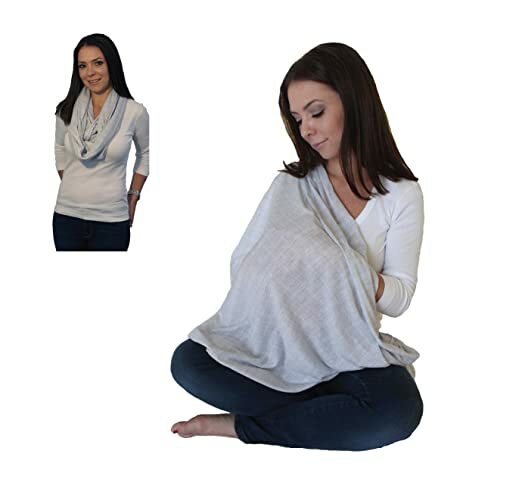 Available at Amazon in Blue & Grey for $9.99. This puts all other sleep sacks to shame. Once my baby could roll over, it was time to say goodbye to swaddling and hello to arm-less sleep sacks. The transition was rough, but I wonder how different it could have been if only I’d discovered this sleep sack sooner. It is ridiculously comfy–imagine turning a down comforter into a sleeping bag with a zipper on the front. Might I add that the zipper glides up and down effortlessly? It doesn’t snag at all. Can you tell I’m obsessed? Available at Target in Small, Medium & Large from $39.49 to $49.49. Three kids later, I’m convinced that no child enjoys tummy time…at least not at first. I could be wrong, but it seems like it’s something that comes with repeated exposure and practice. I didn’t bother much with tummy time with my first two, to be honest, and they turned out fine (my firstborn was a crawler) but I’ve spent more time on the floor with our youngest. I’m just curious to see how much of a difference it makes! 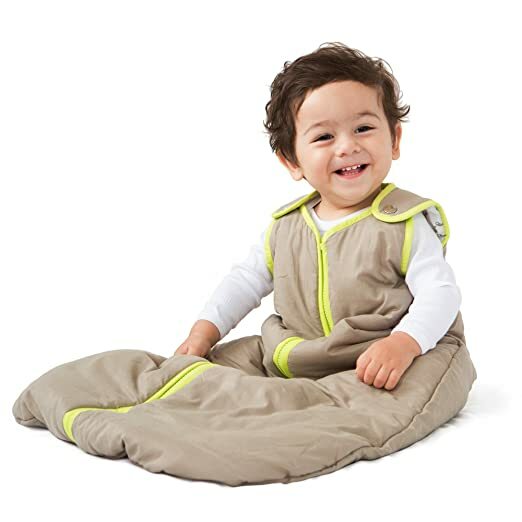 I like this tummy time mat because it comes with a little pillow to prop up his chest. He doesn’t use it anymore, but the pillow came in handy when he was still a weak little thing. The mat has colorful ribbon tags, a mirror, and other dangly toys to keep baby interested. Maybe we could have done without the luxury of this mat, but I feel like having another “fun” toy has helped me bond with baby. Available at Target for $20.99. Normally I would consider it a cop-out to throw diapers on a listicle, but these have been such a blessing that I had to share. I swear my little guy pees larger amounts than his brother and sister did. He’s also a diaper-blowout champion. These diapers have worked for us better than any other brand. I really like the quilted insides of Huggies–they really seem to hold everything in. Sometimes I’m tempted to use OverNites during the day. If only they were cheaper! Available at Walmart, $24.27 for 92-ct. size 3. Now that you know some of my favorite products, I want to hear yours! Moms and Dads, what baby products make your job easier?